Providing faculty and staff with education about the importance of diversity and cultural sensitivity to Memorial Sloan Kettering’s mission of providing high-quality cancer care to our community. Training includes seminars on cancer health disparities, community outreach, and the collection of racial and ethnic demographic data. Working with appropriate administrative groups at Memorial Hospital, including the Patient Access Committee, the Language Assistance Program, and the Departments of Marketing and Public Affairs, to identify and remove cultural, language, and financial barriers that diverse and medically underserved patient populations face in accessing cancer care. 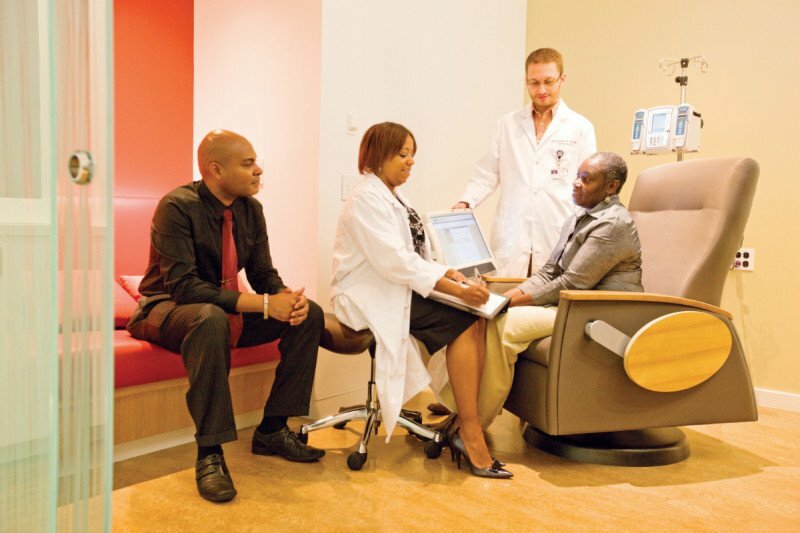 Collaborating with the Breast Examination Center of Harlem, the Ralph Lauren Center for Cancer Care and Prevention, community-based organizations, and local cancer support groups to provide education and awareness of cancer prevention, screening, and treatment services available at Memorial Sloan Kettering. Co-directing the Partnership Community Outreach Program — the community outreach arm of a partnership between The City College of New York (CCNY) and Memorial Sloan Kettering — dedicated to helping communities take advantage of community-academic collaborations to improve public health, and providing support and resources for investigators at CCNY and Memorial Sloan Kettering. The director of the Office of Diversity Programs serves as the principal investigator, overseeing and developing community outreach initiatives with her counterpart at CCNY. Such initiatives pair researchers with community groups to foster community-based participatory research.